Blood Red Shoes | TA Live! Ticket Alternative Weekend Picks! 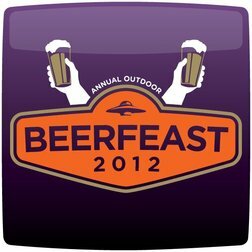 Tycho, The Sheepdogs, 3rd Annual Fall BeerFeast, Wye Oak & More! Can we please officially say that we are in FALL now?! Whip out the scarves, ginger cookies, and pumpkin spice lattes, y’all! And while you’re at it, how about you check out one of these awesome concerts this weekend! Blood Red Shoes are an alternative rock duo from Brighton, England. They have released three full-length albums, Box of Secrets (2008), Fire Like This (2010), and In Time to Voices (2012) as well as numerous early singles on limited 7″ vinyl pressings. Politically and socially motivated, Brother Ali will release his next album Mourning in America and Dreaming in Color on September 18, 2012. It is expected to be a highly political album. Ali has said that Jake One produced the entire project and Dr. Cornel West makes an appearance. Some of you may remember this band as the winners of the Rolling Stone cover a couple of years back, but this band gets comparisons to the Allman Bros…not a bad way to be described.